The Farmers Wife: Facebook Fan Giveaway! Hey y'all!! It's hard for me to believe that just a few months ago I was doing a giveaway for y'all when the facebook page reached 200 fans, and now here I am just a short time later with over 1,000 fans!! I really can't say enough how I appreciate each and everyone of you! I wouldn't be where I am now, or headed in the future without your support and encouragement each step along the way, and that is why I want to do this giveaway! Now I know I have put you on pins and needles waiting for the details of this giveaway and I am SO happy to finally get this up for y'all!! So here we go! Ready? 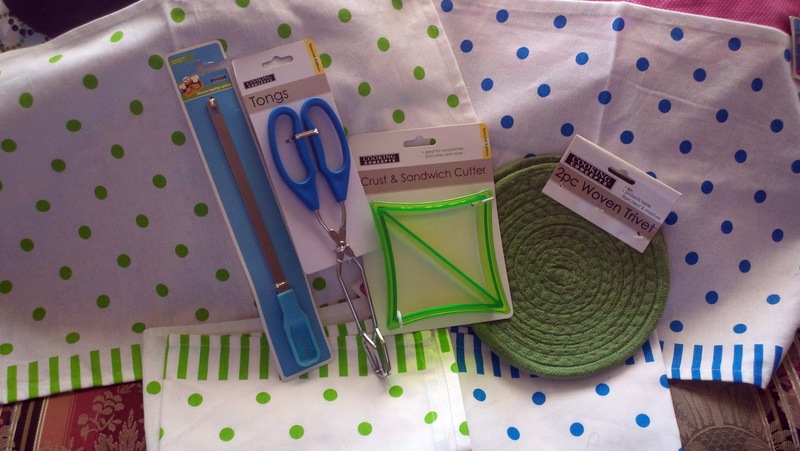 This giveaway is a bunch of things that I LOVE to have in my own kitchen! 2. Re-post the link to the giveaway on your Facebook/Twitter accounts. 3. Leave me a comment here on this post, ALONG with your Email address, to let me know you've done all of that, and you're entered! Just one comment per person, multiple comments will only count as one! *Open to USA Residents only, Sorry to my viewers from other countries! I wish shipping was cheaper! * The giveaway will run until Wednesday, August 10th, 2011 at 11:59pm MT. I will announce the winner on Thursday, August 11th, 2011. You MUST leave a comment with your email so that I can email you to get your address to send the package. Winner will be picked via a Random Number Generator. You rock, what an awesome giveaway, I am about to post the link on my page. Love ya!!! Wow this is awesome! Good Luck to who ever wins! If you're having problems commenting please E-Mail me at thefarmerswifeblog@gmail.com. Entries will not be counted if a comment is not made on this post! Finaaly figured it out...sorry it took so long. My name is Lisa, I have reposted your link, and my email is sunshine4friday@yahoo.com. I have really enjoyed your site today. Can't wait to get online after work to see what you have new. You make my day!!!! LOVE LOVE LOVE the aprons! I bid on (and WON!) an auction on ebay for five aprons from an estate sale a couple of years ago. They were awesome...very old and you can tell someone wore them a LOT. My NY friends make fun of me because I wear an apron when I cook....but then, I just don't feed them, and they know better next time! Anyway, love your page and glad I found you on FB! Have a super day! *You know I am your Fan! You know I follow you on Face Book! And ya know I will post about this for ya Sister! I am already a fan on Facebook and I'm going to tell all my fans about this giveaway b/c it's too AWESOME not to share. Congrats on 1000! I don't just like you on Facebook, I LOVE you on there!! Best page ever!! Reposted so everyone can check you out. I am a fan and I re-posted the giveaway! Nice giveaway! Love your website! I love your site, am a fan on fb and have followed you on RSS feed. This is the cutest giveaway!! 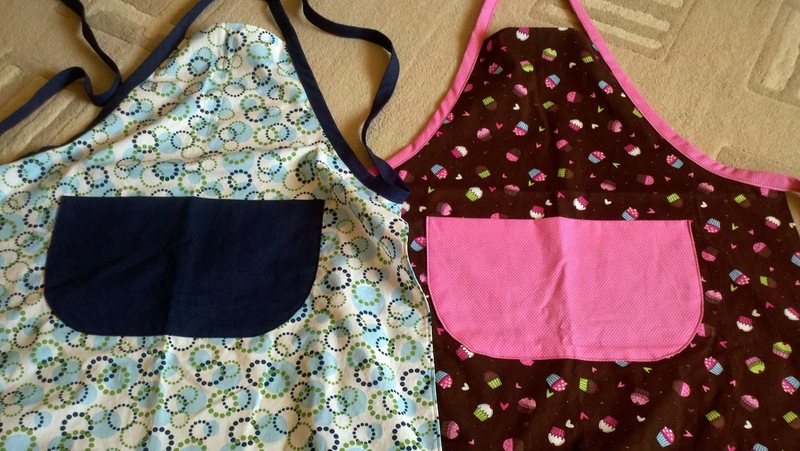 Love this giveaway, cute aprons! Great giveaway, I'm so glad I found your site through The Pioneer Wife, you both rock!! Aprons are my new obsession (since the Chef told me NO MORE KITCHEN TOWELS hahahaha) I am a FB fan and reposted as well. I love your blog !!! I just happened upon your blog today and found a giveaway! Lucky me! :) My mom makes custom aprons, but can you believe I don't have one as a stay at home mom? Thanks for the chance to win! Very nice giveaway, I'm a new fan on Facebook. I don't have Facebook or Twitter but YOU ROCK! I love how your recipes are super creative but use every day ingredients. Thanks for sharing with us! Already a fan on Facebook & just posted a link to this great contest! :) Everything is great but I especially LOVE those aprons! Thanks a bunch for offering this! Hi - what a great giveaway!! I am a fb fan and have posted the link to this contest on my page. I use aprons and would love to win these beautiful ones along with the other awesome prizes. Love Farmers Wife!! susanjcoleman@msn.com from NH. Love that I found you on facebook, which lead me here! Great site with great recipes! Thanks for the giveaway! Love your blog! I'm already a fan on FB, and I MAY have already entered this giveaway, but if I didn't, I'm dwilkielaw@gmail.com, and thank you for the chance to win! Keep up the fabulous work! Great giveaway. I'm a fan on FB!